The new ship concept provides owners with more revenue-generating space and is more efficient to operate, said Maurizio Cergol, head of marketing and new concept development for Fincantieri, about the company’s new Project Mille design. Based on a narrower superstructure on a beam in proper portion to draft and length, more decks can be added without affecting stability, and have more outside staterooms with balconies. Cergol said the beam could be around 36 meters for a 100,000-ton ship. He added that up to 90 percent of the cabins could be outside with balconies. And with interlocking cabins there is more flexibility for design and more cabins can be fitted into the same space. Cergol said all the heavy weight is brought down, including the spa. Also, the Mille concept has no big swimming pool on top, which he said can weigh 200 to 250 tons, and if located on lower decks, contributes to increased stability. The general arrangement can also be for fewer fire zones as long as an equivalent level of safety is reached. Perhaps the biggest challenge introducing something new is the fact that it is new. Cergol said: “Shipowners must be convinced the time has come to change to a more modern or different configuration – and that we are not jeopardizing existing designs or concepts, but rather improving on them. “Owners may also have to be convinced to move some public spaces from the top of the ship and down to the middle. “This is a model to show what is possible,” he added. The concept is applicable to different sizes of ships with Fincantieri using examples ranging from a 60,000-ton, 1,500-passenger ship, to 100,000 tons and 2,600 passengers, and 150,000 tons and 4,000 passengers. 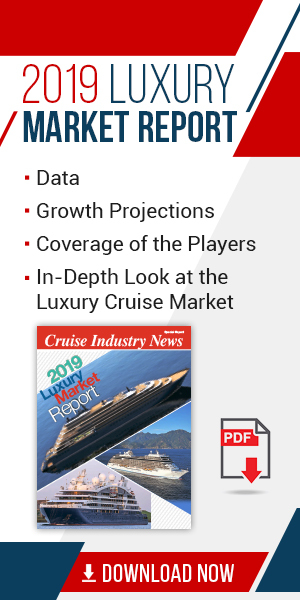 Basically, there will be 10 percent more cabins than a comparable, contemporary design; 10 percent more open-deck space; and a 10 percent increase in efficiencies, according to Fincantieri. 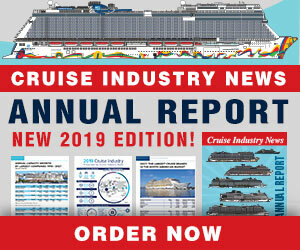 >> Also in this section: Technical Profile: Quantum of the Seas, ballast water update, refurb reports from P&O and Phoenix Reisen, Disney ducktail and more.